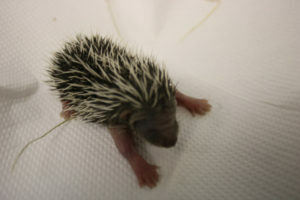 Twiglet came into us with Fluke and Lungworm. She was treated for this but we realised that she was pregnant and kept her until she had her babies as it would not have been fair to release her shortly before birth with no established nest. In the first week after the birth the nest was not disturbed as a hog mum can destroy her own babies in the first few days. 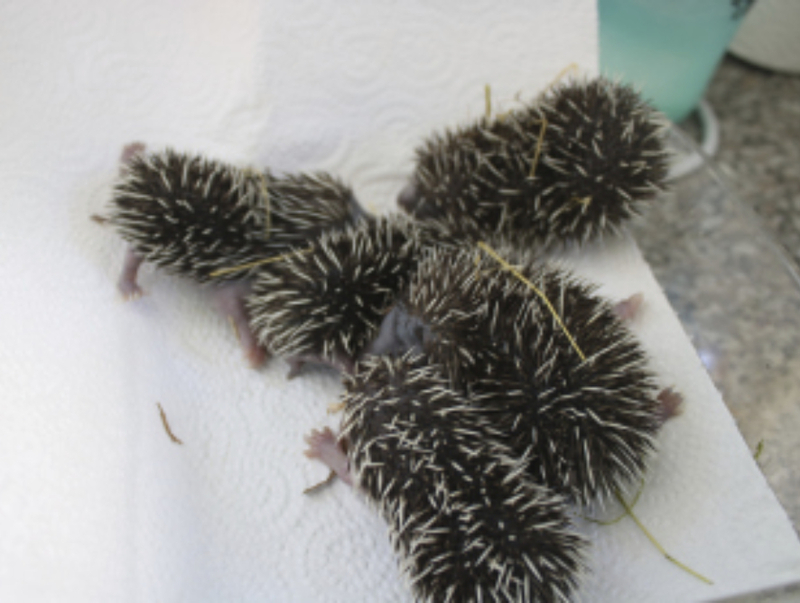 At 7 days old the babies had their first darker spines coming through and were about 5cm in length. They cannot see or hear at this age. By week two the babies were all a lot bigger and more active, although she was still sleeping in front of the nest or covering the entrance over so they could not get out of the nest and were well protected.